By serving the Korean sweet pancake with a scoop of ice cream and chocolate sauce, the restaurant featured a posh dessert menu and captivated Spanish customers’ taste buds. 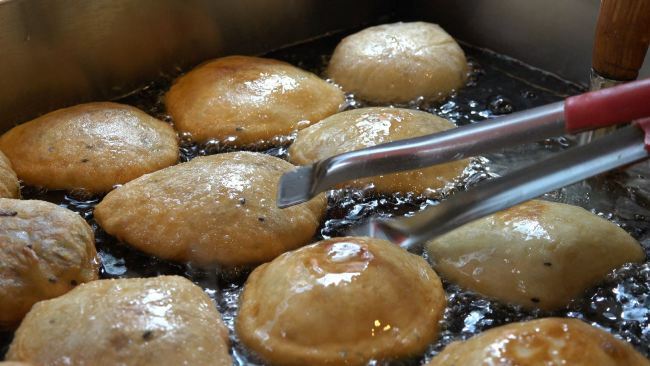 “Hottoek,” however, is one of the popular street snacks which has been loved by locals for decades. 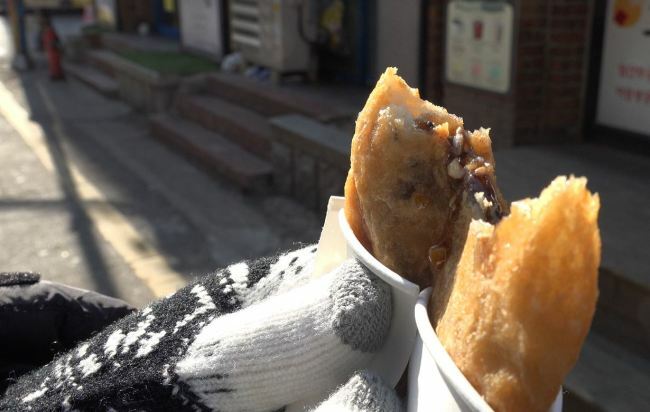 The details about when and where this tasty dish came from is not known, however it’s generally believed that Chinese merchants brought the concept of hotteok in early 1920. The pancake dough is made out of sticky rice and flour, while cinnamon-scented brown sugar fills the inside. Fillers can be varied to seasoned vegetables, chopped nuts, pizza paste or meat, depending on the eateries. After the filled dough is fried in greased griddle, the hot pancake is served in a paper cup or a piece of thick paper. The price of hotteok may differ by store, but it is priced between 1,000 won to 2,000 won.